The Fourth of July just wouldn�t be right without parades. Whether large or small they have become a major part of our Independence Day celebrations. For many of us they mean heading out for a long morning of waiting and watching. Some will sleep out on the route in order to secure just the right spot and some will just spend the morning or afternoon waiting for the festivities to start, but whichever group you are in preparation is the key to making sure that everyone has an enjoyable and safe time celebrating. First, look at how long you plan to be there and make sure you have enough food for everyone to eat what they need for that amount of time. Remember that when we are together and having fun we tend to munch a little more so take that into consideration. If you plan to watch the parade and head home you still need to have ample snacks. 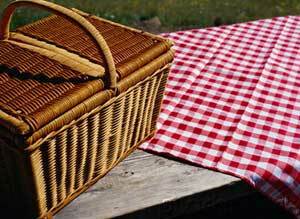 If you plan to eat a picnic, that obviously requires more advance planning and wise choices. When packing snacks for a parade, fireworks show, or any other outing be sure to remember the weather. For the majority of us the Fourth of July means heat! Snacks that won�t melt all over are your safest bet. Things like nuts, fruit, dried fruit, pretzels, granola bars (watch to make sure they don�t have chocolate chips or you will have a mess), and crackers can make nice, healthy snacks for your wait. If you are planning on making a day of it and having a picnic make sure that you select foods that don�t require refrigeration or can be kept at a safe temperature for a while in a cooler. Things with meat, mayonnaise, or dairy products might be better for another occasion if a cooler isn�t an option. If you do have a good cooler that can accommodate your group and the time you will be out then you are really free to bring whatever foods you like � as long as you have a way to safely prepare them. With high temperatures and a long day of waiting make sure that anything you bring along can be kept at appropriate temperatures until you eat it. Nobody needs to be sick for firework! Whatever your plan, do not forget the water! The July heat can take a real toll on your body and lots of water is necessary to keep you in good shape. 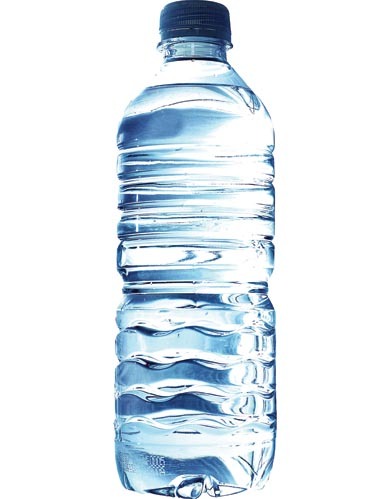 Dehydration can ruin even the best of plans and it is really dangerous so make sure that you are drinking plenty of good old H2O! Other items to remember are sunscreen, blankets or chairs, umbrella or other shade if needed, and lots of entertainment. Depending on your family and the ages of your group entertainment may include board games, card games, coloring books, bubbles, play dough, or anything else that will keep your family (especially young ones) occupied for a long wait. However you celebrate Independence Day this year I hope you enjoy a safe and fun-filled day with family, friends, food, and fun!